Al Mukalla: Yemen government troops have liberated President Abd Rabbo Mansour Hadi’s home village and other neighbouring regions in the province of Abyan from Al Qaida and are inching towards declaring the entire province free of terrorists, residents and army officials said on Tuesday. 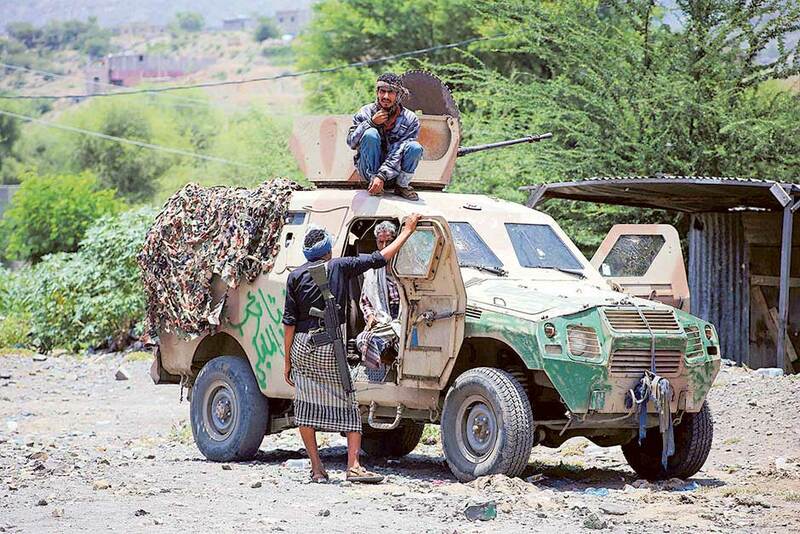 “The army troops and the resistance have seized Wadhea and stationed inside its government facilities,” Ali Saleh, a member of the allied Southern Resistance, told Gulf News on Tuesday. Backed by heavy aerial bombardment from the Saudi-led coalition, government forces launched last week a massive military operation aimed at clearing Abyan of Al Qaida and Daesh-linked groups who have long exploited power vacuum to overrun large swathes of land since 2011. The troops, mainly trained and armed by the UAE officers in port city of Aden, have stormed Zinjbar, Kawd, Jaar, Moudeah, Shoqra and other smaller areas. The militants who suffered loses from the heavy air strikes reportedly took refugee in the province’s rugged mountains or fled to Al Houthi-controlled Baydha province. Local army commanders say by announcing liberation of Abyan and the neighbouring Shabwa provinces from the militants, the once unruly south Yemen would be under the full control of the army forces and security services. Al Qaida’s quick expansion began in August last year shortly after the coalition-backed forces pushed Al Houthis and the ousted president’s forces from the south. Thousands of local fighters who could not fight off the well-organised militants joined UAE-sponsored military camps in Aden and Eritrea. In April, the militants lost control of the city of Al Mukalla, the capital of Hadramout, and Huta, the capital of Lahj. Meanwhile, Al Houthis have failed to regain control of new territories in Yemen’s third largest city, Taiz, days after government forces broke the rebels’ yearlong siege, residents and army commanders said. Resistance fighters and army soldiers on Tuesday pushed back Al Houthi attacks on the strategic Han mountain and Al Sayahi area in the western side of the city. Warplanes from the Saudi-led coalition have helped the government forces take control of new areas in recent weeks.